Passed away unexpectedly Thursday, November 17, 2016 at her home. The daughter of the late Michael and Susan (Serowec) Pelish, Mary was born February 14, 1926 in Scarbro, West Virginia and had recently celebrated her 90th birthday. She was previously married to John Johnson. Mary was employed as a ticket agent at the Saginaw Grey Hound Bus Station for many years until her retirement. Mary was a member of Holy Spirit Catholic Church, Catholic Book Club, League of Catholic Women and the Merry Wives. 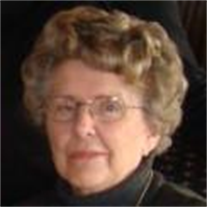 She was an avid reader and enjoyed traveling. Surviving are many nieces, nephews and dear friends. Mary was preceded in death by two sisters and three brothers, Margaret Lemmer, Ann Brandt, Michael, John and Joseph Pelish. Honoring Mary’s wishes, cremation has taken place. A Memorial Mass will be celebrated 11:00 a.m. Monday, November 28, 2016 at Holy Spirit Catholic Church, 1035 N. River Road in Saginaw. Rev. Fr. Peter Gaspeny will officiate. Friends may call at Holy Spirit Catholic Church on Monday from 10:00 a.m. until time of Mass. Those planning an expression of sympathy may wish to consider memorials to the Castle Museum or the Saginaw Children’s Zoo.